It's time once again for one of my favorite annual traditions: Turner Classic Movies' Summer Under the Stars. Each August, TCM devotes twenty-four hours to the films of one particular star. Some stars are internationally known, others more obscure. I've been blessed to participate in the annual Journeys in Classic Film Summer Under the Stars Blogathon for about two to three years; while this year sadly we don't have my favorite all-time star, Claude Rains, we do have a host of other actors/actresses from which to draw on. TCM has a pretty standard method when selecting a SUTS honoree: one or two foreign-language stars (this year, it's Marcello Mastroianni), a silent film star (that would be Harold Lloyd) and a couple of living stars (Doris Day, Carroll Baker, Clint Eastwood and Barbra Streisand fit that bill). This year will be my most ambitious: 22 out of 31 entries, a record for me. Who knows, maybe one year I will do one for every star featured. However, for this year I think 22 is quite a healthy number, especially given that I also have the Plaza Classic Film Festival and the regular baseball season also happening at the same time. August may be the only month to have no holidays, but it will certainly not be without major events. Sadly, Kristen Lopez, head of Journeys in Classic Film, informed me that she will not be having her accompanying SUTS Blogathon sponsored this year. However, I am going to keep to the Blogathon usually sponsored by Journeys in Classic Film and hope things settle for next year. Even if Journeys in Classic Film isn't having its Blogathon, I fail to see why I cannot do my own informal version of it. On a few entries, I am going beyond just a review of a star's film. Myrna Loy's entry is from a TCM documentary on her life and work. Dorothy Malone's entry is from a film where she essentially makes a cameo, but as she is credited I think it falls within the guidelines. Day's and Andrews' entries are not so much about a film or films but reflections on them. Quinn's entry is from a television movie. Still, I don't think we'll quibble too much on such pesky details. I hope my views will be of note and I hope everyone enjoys this year's Summer Under the Stars. 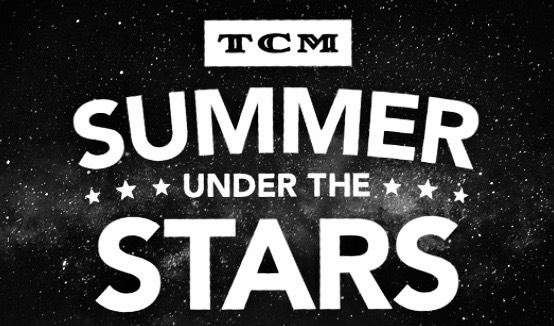 *The films marked with an asterisk indicate it will be shown on TCM as part of their Summer Under the Stars programming. For Doris Day's day, all three of her films with Rock Hudson: Pillow Talk, Lover Come Back, and Send Me No Flowers, will be shown back-to-back-to-back.